Not so long ago, Thunderclap was the go-to tool for organising loud coordinated BANGS of activity on social media. It was innovative, easy to use, affordable (even for small businesses and charities) and wildly popular. Past Thunderclappers included Microsoft, the United Nations and even the White House. It helped amass support to protect sea life in Antarctica’s ‘last’ ocean, it helped the big butterfly count record its largest ever result in 2013, it helped small authors promote their books, and it helped countless small charities to have their causes heard. Yet on September 15th 2018, Thunderclap shut down. The ‘crowdspeaking’ platform that once rallied hundreds of thousands of people together to spread a single message shut down after Facebook changed its terms of service and blocked apps from posting content. What’s most surprising about the platform’s closure is that it received almost no media coverage at all. 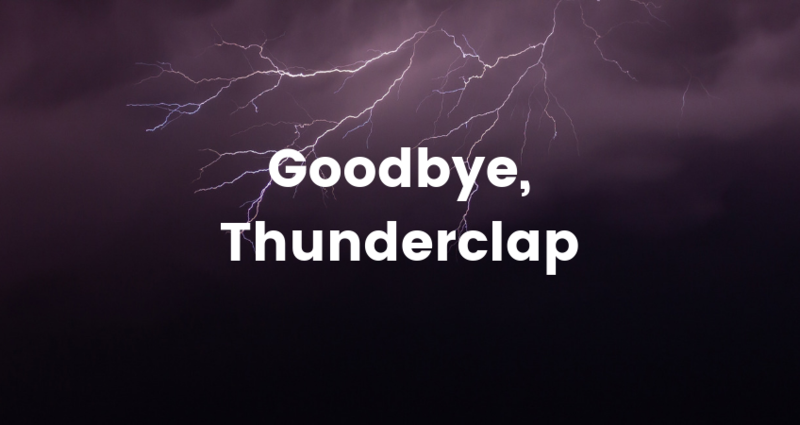 It seems that Thunderclap ended not with a bang, but a whimper. Described as a ‘crowdspeaking’ platform, Thunderclap was created to support grassroots campaigns on social media, allowing a large group of people to work together to amplify a message. Users would create a campaign with a message, then rally as many people as they could to sign up to it. At a specified time, Thunderclap would automatically post the message to the supporters’ social media channels, skyrocketing its reach. Having lots of people post at the same time was great for getting a hashtag trending, and could drive a huge burst of traffic to a website. Like Kickstarter, you’d need to reach a certain threshold within a set period of time (for example, 100 people in a week) for your campaign to be sent out. Why are social media platforms making changes? The weather on social media has changed. Thunderclap’s demise was collateral damage from Russian election interference and the Cambridge Analytica scandal, both of which caused Facebook to take big defensive steps to combat worldwide outrage. Twitter has also faced criticism for the spread of fake news on social media and has been busy updating its rules. So far it’s removed a staggering 143,000 apps that it sees as being potentially harmful and all developers must now go through a strict app registration process. In the past, Thunderclap had been suspended by Twitter for breaking their spam rules. 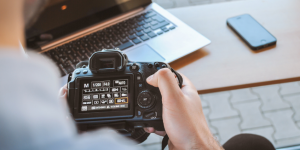 It was reinstated a few weeks later after Thunderclap developers updated the platform, allowing users to customise campaign posts that would be sent on their behalf. It’s not just Facebook and Twitter that are clamping down on apps’ access to their platforms. 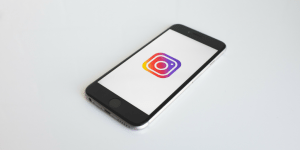 As Facebook owns Instagram, similar changes are also starting to restrict apps’ access to the photosharing network (for example, apps won’t be able to post or delete comments anymore). What does this mean for social media app developers? This is a big reminder to all app developers – regardless of how popular your product is – if Facebook, Twitter or another big social media beast changes their terms of service, your business model can be scuppered in an instant. These changes are also affecting big players like Hootsuite, which no longer enables posting to personal Facebook profiles. It feels like every month Hootsuite is announcing a new cut to the service that it’s able to offer as a social media management tool. Ryan Holmes must be nervous about the future of his company. As all social media networks are still under huge scrutiny from lawmakers and the public, more changes will definitely be coming! While it might be a bit annoying that some of the apps you once used have disappeared, these changes are a sign that social networks are starting to take the issues of privacy and fake news seriously. This is long overdue, and it’s good news for the general public that more is being done to protect people from misinformation and misuse of data. What are the alternatives to Thunderclap? One-off coordinated grassroots boosts now seem to be a thing of the past. For businesses with a lot of employees, there are advocacy alternatives such as Pack, Hootsuite Amplify and Sociabble. 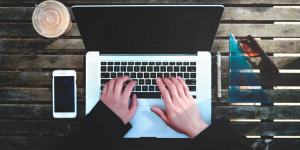 These are all powerful tools for leveraging your workforce to increase the reach of your messages, but they all come with much higher price tags than Thunderclap. Customers, supporters and employees play an enormous role in making sure that your voice is heard. Sending out an old-fashioned email telling people when and where they can help to spread your message can still be a very effective way to create some noise on social media! It might not be the sharp bang that Thunderclap was able to deliver, but even a low rumble can make a difference.